Social media editorial calendars are important tools for busy teams. They make it possible to plan posts ahead of time, avoid last-minute fire drills to create content, and keep your workflow organized. Without one, you’re left scrambling to keep your social posting schedule full. What exactly is a social media editorial calendar? How can I build one (or is there an app I can use instead)? Where can I find some templates to get started with? 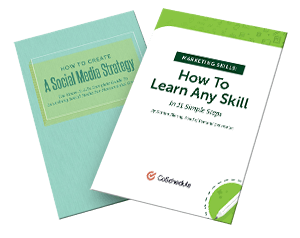 How to get started using free templates and basic knowledge of social strategy. How to plan everything from one-off posts to entire campaigns on one calendar. How to organize effective scheduling workflows around your calendar. In short, your team will have one version of truth they can reference for all things social media marketing. What Is a Social Media Editorial Calendar? What Are The Real Benefits? What Makes Up a Good Social Media Calendar? So, What Is A Social Media Editorial Calendar? Social media editorial calendars are spreadsheets or apps used to schedule social posts in advance. They’re also used to plan when and which content will be shared, manage campaigns, and track deadlines. Printed calendars. The old-school approach. These can be helpful for mapping out content themes and making note of upcoming content and events needing social media promotion. You might keep something like this on your desk or pinned to your cubicle wall. … dedicated social media calendar apps and scheduling tools. The most efficient solutions. These apps add a level of automation (plus other powerful features) that spreadsheets can’t match. Spreadsheets are workable solutions at first and are a great option when you’re starting out. When you need more power and automation, though, a holistic marketing management platform like CoSchedule (which brings social into focus alongside all other projects and campaigns) is the best option. As we continue in this post, we’ll show you how to use both. Or schedule a demo today. So, what do these calendars look like in action? Let’s take a look at some examples. Who Can Use a Social Calendar? Anyone creating social content, whether for a business, media company, or a serious blog, should consider using a calendar. Marketing teams: Marketing campaigns often have a lot of moving parts, including social components. Keeping teams organized and making sure everyone involved in a project understands the social promotion schedule is key. Plus, giving all your marketing departments visibility on what’s going out, and when, helps everyone know what’s going on and when things need to be finished. Small businesses: Staying organized with a calendar makes it much easier to save time and maintain consistency. This is important for small businesses, where resources are limited. Consultants: If you’re managing social media marketing for multiple clients, you probably wish you had an extra set of hands. Unfortunately, medical science hasn’t made that possible (yet). But, getting each client organized on their own calendar can help immensely (especially when you add automation). Media companies: If you’re creating editorial content, it’ll need social media promotion. Keep it all together on your calendar. Bloggers: If your blog is your business, you don’t have time to waste with dysfunctional tools. Make sure every post gets promoted on your calendar. Turning chaos into harmony. Managing multiple social media accounts can turn messy fast. That kind of disorganization will kill your efficiency. It can also diminish the effectiveness of your social media marketing efforts. Knowing what you’ll say and when you’ll say it saves time so you can get other important things done. Holding teams accountable. Calendars are great for setting deadlines. It’s easy to procrastinate when deadlines are flexible (or nonexistent). Laying out a clear plan eliminates excuses for not knowing what content to publish on your social channels. Saving time (that you can use to get real work done). No one ever has enough time. However, planning your social media outreach with a calendar lets you make the most of the time you have. Measurably improving your results. This is the benefit that supersedes all other benefits. After all, efficiency without effectiveness really just means doing things poorly, quickly. Using a calendar allows you to schedule your messages for optimal times, increasing the odds they’ll get seen. 4 reasons to use a social media calendar: Organization. Accountability. Efficiency. Effectiveness. So, that all sounds great. But, you probably want to see some hard data supporting these claims. 3,150% increase in clicks. Best of all, there’s no reason you can’t replicate similar success, too. This template is built to make scheduling social media posts easy. No matter how many networks you’re active on, you’ll be able to keep everything organized, all in one place. It’s a free Excel file that can easily be uploaded to Google Sheets (which we recommend if your calendar will be shared with multiple users). Plus, join our email list to stay up-to-date. How many marketers work at your company? Success! Your download should start shortly. 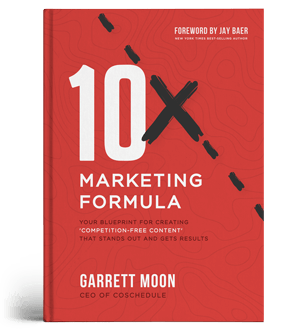 Tired of the marketing mess? End the frustration of missed deadlines. Get total visibility into ALL of your marketing in one place. Save 20 hrs this week alone (and every week after). If you've ever kicked the tires on CoSchedule, now's the time to see what it's really like. What is your main goal with CoSchedule? Clean up the chaos with your CoSchedule editorial calendar! Now’s the perfect time to start your 14-day free trial to see for yourself! Next, let's walk through each section of your template. You’ll need an overarching calendar to help you focus on topics that matter to your audience. For content marketers, it would be perfect to schedule your broad topic calendar four to six months out. That gives you the opportunity to plan new content based your audience’s reactions. Use the Main Theme row to map out your primary content themes for each month. Then, fill in sub-topics for content you’ll want to create and share that support those themes. You can base your general calendar on the model from traditional magazines. They typically offer these sorts of editorial calendars for an entire year to attract advertisers for specific magazine issues. For example, check out this editorial calendar example from Forbes. The content calendar provides a lot more detail. This is when you look at your topics and plan the actual content types best suited to tell your specific stories—blog posts, e-books, videos, webinars, events, and whathaveyou. At this point, you assign the specific dates on which each piece will publish. Typically, you can work two to three months out with this calendar. The promotion calendar is your plan to share all of the content you create. This is when you’ll schedule your social media messages and plan your emails, newsletters, and other ways you’ll share your content. Content: This is your social media post copy. Image Link: If your post will have an image or video, upload it to a cloud storage service (such as Google Drive or Dropbox). Then, drop a link to the image here. This will give you easy access to your images when you’re ready to create your posts. URL: If a post will include a link, drop it in here. You can then assign the specific dates when you’ll share each of these messages, which usually takes place immediately after you’re done creating the content you’ll share (but you can plan this ahead of schedule with the right tools). It seems like a lot of content marketers create great content, share it when it goes live, and then they call it good. They’re all missing out on their own 3,150% more click-throughs. Instead of taking this minimalist approach, a great social media calendar maximizes exposure of your content on the social networks your audience uses—without being spammy. As you plan your content, these eight things can make or break your social media calendar. Once you understand the psychology of why your audience shares, you can create content in ways that are most likely to connect with them. This will help you plan awesome content from the get-go, and help you interact—socialize—with your audience using social media. 84% share to support a cause. 78% share to stay connected with those they know. 69% share to feel involved in the world. 68% share to define themselves. 49% share for entertainment or to provide valuable content to others. The study also found that 73% of the survey takers shared content to understand the information more thoughtfully. Create content about your different customer types and help them self-identify. That will help you, and help them connect with your content. Imagine the possibilities a forum—or even a larger brand ambassador program—could present for your customers to ask each other questions and learn from one another. You could even start as simple as a Twitter chat. If someone sends you a message, leaves you a comment, responds to a tweet—whatever it is—let them know that you valued their contribution. Listen and respond. Again, let your advocates know you appreciate their respect. They’re your rock stars, and almost nothing is better than social proof. While some of this is more about creating awesome content in the first place, this is the backbone on which you’ll build your social media calendar. But without sharing good content in the first place, why would anyone want to interact with you? No one likes people who talk only about themselves. Nor does anyone want to be around someone only interested in talking about one topic. The same goes for brands. If you're only pushing your own content, you're unlikely to drive much engagement. The same is true if you're only publishing one type of content. This is why you need a social media content strategy to ensure you're sending a balanced content mix. If "content strategy" makes you think "large, boring document," then don't worry. This doesn't have to take a lot of time. You just need to define how much of which types of content you're going to share. Some content lends itself better for certain social networks. And—assuming you know your audience—you’re using specific social media to target your customers. Can you share your same piece of content on multiple networks? Yes. Just make sure your social media messages follow these best practices to get the most traffic. Twitter has become content marketers’ best friend recently. That’s because one of the best ways to use Twitter is to share helpful business tips. And after all, that’s exactly what you’re creating in your content, right? Other content types that work well for sharing are news and things going on behind the scenes to share your business’ passion. Twitter Tip: Share useful business tips that draw your readers in. Buffer found that sharing images on Twitter increases retweets by 150%. And when we tested GIFs in tweets recently, we increased clickthroughs by another 166.6% more than static image tweets. So definitely try visuals in your tweets to see if that will make a difference. Track Social also found data to support that 70–100 characters is the ideal length for tweetsto get retweets. Imagine that: Just enough context to know what you’re sharing with enough room for them to add their own individual thoughts. Twitter Tip: Share visual content on Twitter with a 70–100-character message. Facebook wants your useful and entertaining content—the kind that people can share with their friends and family no matter their background. Industry blah content just doesn’t work on Facebook. Facebook Tip: Share entertaining content. Think of quizzes that are fun to take or comment on—and then you also get some cool data. Or think of storytelling and how inspirational or emotional stories seem to light up your newsfeed. Facebook posts with less than 100 characters typically perform the best. Combine this with images and videos, and your posts will be even more likely to increase your engagement. Women in Saudi Arabia will soon be free to take the wheel. Welcome to the driver’s seat. Facebook Tip: Share visual content on Facebook with a message less than 100 characters long. I’m not talking cheesy press releases here that are all about you. I’m talking about valuable information like business case studies, how-to posts—examples of how to grow professionally as a person and business in your niche. Remember that people use social media to define themselves and build relationships? LinkedIn is exactly that for professionals. LinkedIn Tip: Share content that helps your audience grow professionally. Images on LinkedIn get 98% more comments than posts without images. And apparently, video links to YouTube result in a 75% higher share rate. Combine those visuals with shorter messages—questions, demands, or helpful takeaways you personally learned—and you’ll get some interaction with your content. LinkedIn Tip: Share posts with images and short messages about why your audience should engage with your content. Google+ is kind of a grab bag between personal and professional. In your private circle, you can share pics of your kids, and in your public circle, you can share your professional content. But there are exciting opportunities with Google+ from a business perspective. Share your helpful content here like you might on LinkedIn. Imagine how-to videos, helpful GIFs to use your product, and other support content. Early research found that Google+ content is slightly tech-driven, so your straightforward content on doing something better may be your best bet. Google+ Tip: Share technical how-to content like videos, GIFs, and blog posts. For Google+ posts, differentiate your content with longer rich text snippets. Long-form posts for Google+ help you stand out for your audience—and you’ll capitalize on the network’s natural SEO juice. Pare down your introduction and pick two or three of your big ideas to share. Google+ Tip: Use rich text to create paragraphs and mark up your text (bold, etc.). Try longer content to see what your audience will appreciate. The only way to use Pinterest really well is to share extremely awesome visual content. Think of small info-images, infographics, comics, custom photography, and memes. Pinterest Tip: Brainstorm the best ways to connect with your audience visually and explore those media types. Don’t get stuck on one if it’s not working. Pinterest has an audience that’s looking for fun, how-to content that looks… well… awesome. It’s no secret that Pinterest is dominated by women users too—80% of their entire user base—so if that’s your target audience, this may be a great platform for you. Some of the best content on Pinterest involves fashion, recipes, and DIY. Pinterest Tip: Don’t even try Pinterest unless you have awesome visual content. Plan how you’ll do that before you just jump in. In order to make the most out of your calendar, it helps to have a grasp on basic social media marketing mechanics. Don't take these numbers as gospel. If these numbers aren't getting you results, then mix it up. Test until you find out what works best for you. Recommended Reading: How Often to Post on Social Media? Proven Research from 14 Studies. Now, let's explore how to use the calendar step-by-step. Follow along to plan out an entire social media marketing workflow for your team (or yourself), all based around your calendar. Whatever the case may be, knowing what you'll be promoting, creating, or sharing is likely where your process will start. Sell your followers on the value they’ll get if they just click through to read your blog post. Or make them question a current belief with the promise of a better solution to a problem. Or make them feel like they’re missing out on something amazing. In short, words have power. Wield them intentionally to invoke the emotional response you want. Getting this right is key to driving engagement and traffic. So, what are some of the specific types of messaging that you can try out? Questions. Close-ended questions drive more clickthroughs. However, open-ended questions may drive more engagement (since you're asking for a response). Benefits. Hint at what's in it for your audience to click through on your link. FOMO. Otherwise known as "the fear of missing out." This angle can work well if you're giving your audience a deadline to act. Stats. Numbers that seem hard-to-believe (but are accurate) can be a great way to stoke interest. Facts. Again, the harder to believe, the better. Wield your words intentionally to invoke the emotional response that you want. Continue until you've completed a full campaign's worth of posts. Best of all, it's totally free. Try it yourself here. Do this for each photo in your campaign. That way, you'll have easy access to all your campaign's assets when you're ready to post them. Now, you have all the content for your campaign ready. It's time to place it all on the calendar. Repeat as necessary until you've entered all your content. Follow this same process for every post you create. Once you start using your calendar, you'll want to see results, right? One way to do that is to measure referral traffic to your blog or website using Google Analytics. Now, you have quick access to your social media performance, direct from your calendar. When it comes to art and design, taste is often subjective. Data, however, isn't (although your interpretation of it might be). The key to getting the best results from your social media content is to bring the head (data) and heart (visual and verbal creative) together. This means testing, tweaking, and adjusting to get the best results. Some types of messaging may resonate better at different times of the week. Your audience might be more active at different times of the day. Use the post frequency recommendations outlined earlier in this post as a starting point. Keeping your calendar full of content might not seem easy. But, there are some ways to maintain consistency without exhausting your team by exclusively creating fresh posts. Add useful links to posts from other blogs and sites your audience will enjoy. You can pre-select these in advance, or simply leave a note to find something that's trending on a given day (which may be difficult to predict). Plus, with Social Campaigns, you can create and schedule entire cross-network campaigns easily. You now understand the benefits of using a social media editorial calendar. It's a key tool for keeping organized, staying efficient, and maximizing your effectiveness. You now know how to build a social media calendar. It's easy to put one together with a spreadsheet (or use the downloadable template we've included in the download). You also know how to fill in your calendar. Not only that, but you now know when to post at optimal times. You get the importance of mixing up your messages. Use the right type of message to get the right kind of response you want. Finally, you understand how to test your results (and adjust your approach accordingly). Data doesn't lie, and it's vital to driving maximum traffic and engagement. Start with this template. Then upgrade to the industry's best all-in-one social media calendar. This post was originally published on May 18th, 2016. It was most recently updated and republished on April 26, 2018. Ben is the Content Marketing Lead at CoSchedule. His specialties include content strategy, SEO, email marketing, project management, and more. When he's not hard at work helping people do better marketing, he can be found cross-country skiing with his wife and their dog.